What’s the difference between radial and bias tires for RVs & trailers? Radial tires have been the standard for North American passenger vehicles since the 1970’s. However, when it comes to RVs and trailers, many US manufacturers still outfit new models with bias ply trailer tires. What’s the difference between radial and bias tires, and does it really matter which type of tire your RV has? 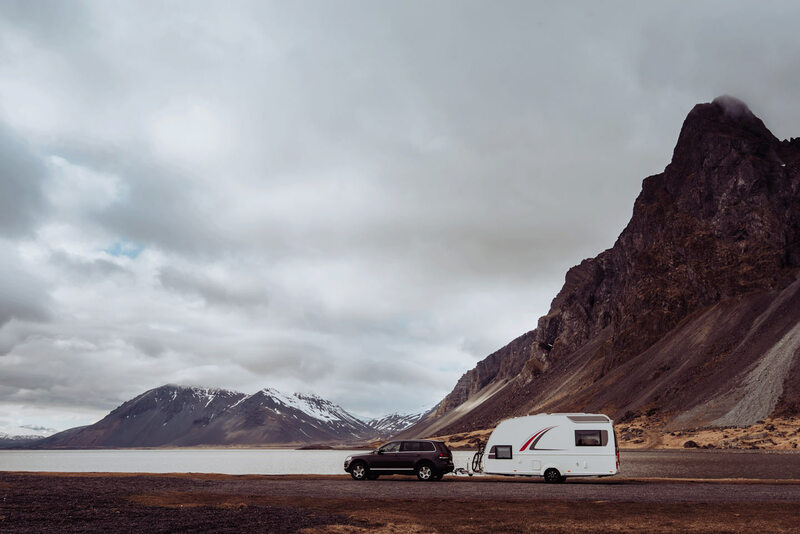 You’ll be able to find out whether your RV is outfitted with bias or radial tires by looking on the sidewall. Just below the tire size, you’ll see the word ‘radial’ or ‘bias.’ If it says ‘radial,’ you’re in luck because they’re built to withstand Canada’s rugged outdoors. How are radial tires different from bias? It all comes down to construction. Radial tires, sometimes referred to as ‘radial-ply’ tires, are constructed using a combination of polyester and/or nylon plies that run straight across the tire, from bead to bead. With bias-ply tires, the cords run diagonally across the tire, overlapping in a crisscross pattern. 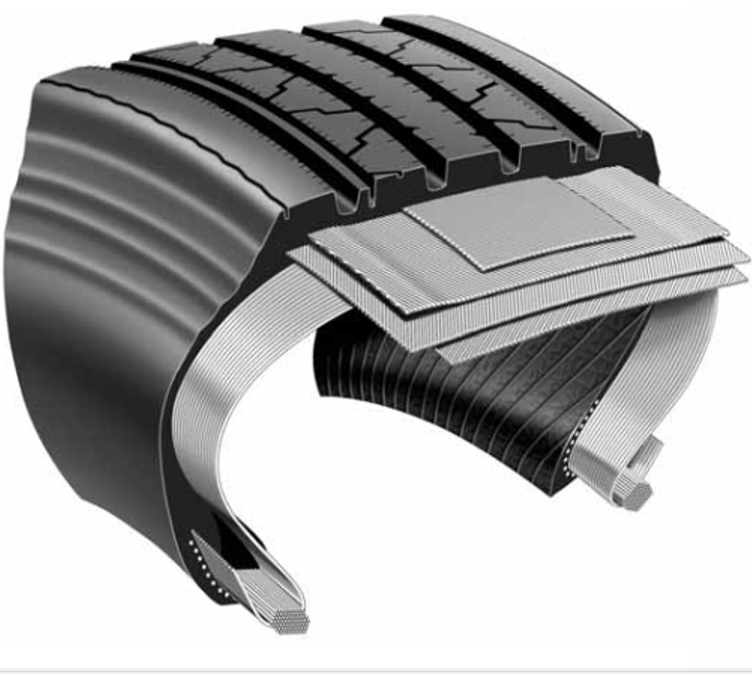 Both versions typically feature additional steel belting for improved durability, tire stability and conformity to the road surface. Steel belting also helps your tires resist punctures. Due to a radial tire’s design, the sidewall and tread act independently of one another. As a result, sidewall flex isn’t transmitted to the tread, which is a good thing. It allows the vehicle to transfer more power to the ground for improved handling. On a bias-ply tire, the overlapping plies tend to be thicker and less flexible. 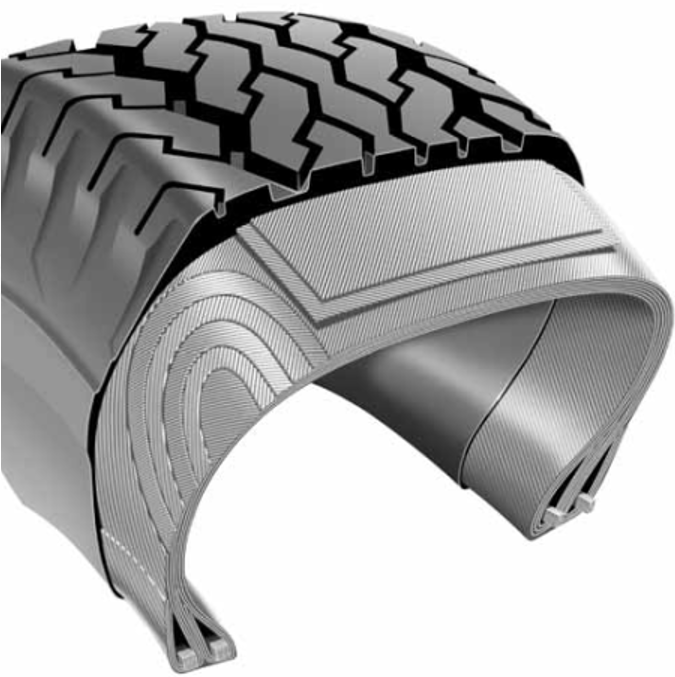 The crisscross ply configuration also causes the tread and sidewall to be interdependent. So, when the sidewall flexes, so does the tread. This affects its ability to maintain optimal contact with the road surface. For RV-ers who drive on gravel roads in Canada, that’s not welcome news. The greater flexibility of the radial tire—or lack thereof in bias-ply tires—also affects ride comfort. Simply put, radials are better equipped to absorb bumps and uneven road conditions, which is exactly what you want when you’re riding along a gravel road. Meanwhile, the inherent stiffness of bias-ply tires means passengers will feel more of the impact and vibrations transferred from the road surface. Radial and Bias Tires: Which Are Best for Your RV or Trailer? And for the Canadian RV community, it’s important to note that bias ply tires are not readily available in tire shops north of the border. So, if you get a flat and need to replace a bias-ply tire somewhere along your journey, you’ll probably have to wait several days to have a replacement shipped up from the US. Canadians are sometimes surprised to learn their RV’s are outfitted with bias-ply tires. Conversely, radial tires are readily available in tire centres across Canada and the US. In the event that tire trouble waylays you while you’re cruising south to your winter home in Phoenix or Florida, you won’t be sidelined for long. As one final point, if you do decide to upgrade to a set of radials for your RV or trailer, be sure to switch your spare as well. Need expert help finding and installing the best RV tires for your needs? Talk to Kal! Visit one of our Kal Tire locations near you, or talk to a team member from home.